Older Australians in residential aged care or receiving support from a service provider have to be provided with a document detailing their rights under the latest aged care quality and safety reforms. Under the reforms aged care providers will have to, for the first time, provide a personally signed copy of the Charter of Rights to every one of their residents or care recipients, giving them or their authorised representative an opportunity to co-sign. Minister for Senior Australians and Aged Care, Ken Wyatt AM says the Government is standing up for our most vulnerable senior Australians and says he “won't tolerate anything less”. The new Charter covers 14 fundamental protections including safety, quality care, independence, information, personal privacy, control, fairness and choice, and is replacing and strengthening the four previous charters. The Charter will underpin the new Aged Care Quality Standards coming into effect from 1 July 2019, which mandates quality clinical frameworks, open disclosure to consumers, minimal use of restraint and safe, effective and consumer-focussed care. “Being treated with dignity and living without abuse and neglect are among the top tiers of the new Charter,” Mr Wyatt says. He says the Charter and Standards will work alongside the new Aged Care Quality and Safety Commission as it works to protect older Australians. 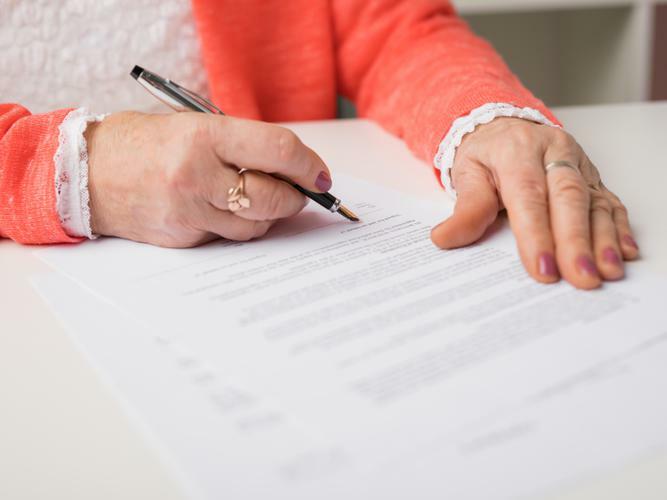 Residential aged care services will have until 30 September 2019 to provide the signed Charter to existing residents, while home care providers have until 31 December 2019, which has come under scrutiny by aged care peak bodies. Chief Executive of the Council of the Ageing Australia (COTA) Ian Yates welcomes the Charter, having worked on its development with Government and other stakeholders for a long time but is deeply concerned about the delay for providers to give the Charter to residents and consumers. Mr Yates is calling for the deadline to be brought forward. “If providers are so badly organised that they need extra time, 30 September is the absolute latest we would find acceptable – that’s six months to communicate with their customers about their basic rights. “Why on earth would it take a provider nine months to tell consumers about the Charter? I am sure if they were telling them about an increase in fees it would only take a month or two at most! “After recent experience with many home care providers not complying with the Minister’s requirement that they publish service information and prices in an understandable way, who knows when Home Care consumers will hear about their rights under the Charter? “We urge providers who really do put consumers first to set a much earlier deadline and those who do COTA will publicly welcome and draw to people’s attention,” Mr Yates says. A spokesperson for Aged and Community Services Australia (ACSA) says the organisation is supportive of a rights-based approach to aged care. "ACSA will look at the detail of what was announced over the weekend and continue to work constructively with Government, providers, families and older Australians." Developed through broad consultation of more than 550 public submissions last year, the Charter is concise, easy to read and will be available in a variety of languages. It was created with consumer and industry input, with approximately 40 percent of submissions made by aged care recipients, their families and carers and 48 percent made by providers, staff and peak organisations. You can view the Charter of Rights on the Department of Health’s Ageing and Aged Care website.